Praying is something we all do. 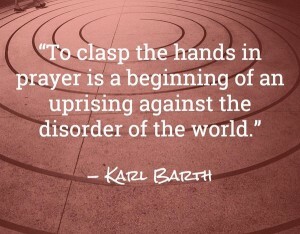 Prayer is simply how we communicate with God – it might be through groaning and sighing or through our crying out or simple talking to God in our own words or we might use set words that others have found helpful over the years. Here are some prayers that you might like to use yourself. This famous prayer is from the Sarum Primer written in the 15th century! 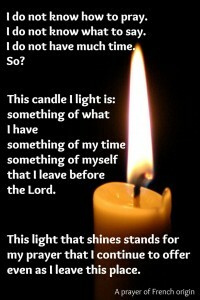 Light a virtual candle on this website here, or light a candle at home and pray the prayer in this picture above. This technique is very simple and works very well at bedtime with children as well as for adults.